To state the obvious, no one likes fine print. We don’t read terms and conditions. Who’s got time for that? Most of us decide we want something, and if the price is right, just give it to us. Most purchases don’t even seem to come with instruction manuals. We just want to get rolling and start playing with our new toys. As odd as it seems, this is often the case in B2B transactions as well. Sales processes are long and complex, but all too often the purchaser winds up being shocked by some nasty surprise post-transaction. It happens to us all, and we always slap ourselves for not thinking to ask about those details in advance. It’s difficult for benefits pros, because benefits, particularly insurance, have a lot of fine print. It’s important to know what you’re getting into. You need to know if the program is valuable, if the vendor is reputable, if your employees’ data is safe, and so on. As you evaluate discount program vendors, it’s important to ask the right questions. After all, all of them will promise big savings at a boatload of popular merchants - but not all of them will deliver. Some of them may even do harm and put you in murky legal waters if you aren’t careful. 1. Where do Your Deals Come From? Some providers have staff that work directly with merchants to contract offers, while others will just scrape public-facing deals from popular websites. The direct-relationship approach usually results in better deals and higher compliance from merchants, while the latter is ethically questionable and not worth your dollars. 2. What Percentage of Your Offers are Redeemable In-Store vs Online? Online spending is growing rapidly, but as research has shown, most everyday spending is still done within a few miles of home. True, impactful relevance requires local, in-store offers. It’s also worth noting that most online spending is done at a select few merchants, such as Amazon. Most of these merchants aren’t running private offers, choosing instead to focus on public-facing affiliate deals. Local relevance is important, so start with this question: How many in-store offers in my zip code do you have? 3. What Percentage of Your Network is Public-Facing? Speaking of public-facing, you don’t want to pay for deals that are available with a simple internet search, or the same deals that are available in grocery store checkout lines. Every program is going to have some of these, but a good program should be mostly comprised of exclusive, unique offers. 4. How Many of Your Offers are from Affiliate Network? Affiliate offers, when redeemed, generate bits of revenue for the affiliate network promoting them. In other words, employee discount programs that are built on these essentially turn your employees in an advertising audience for their own profit. These deals are also public-facing and usually are small discounts. Again, most programs are going to have some affiliate deals. It’s just important to know what percentage of the overall network they comprise. 5. How Will You Protect Member Data? Many of the free and cheap programs make their revenue by selling member usage data to third parties. Obviously, that isn’t optimal. Pretty much every program will ask for at least your employee’s names and email. 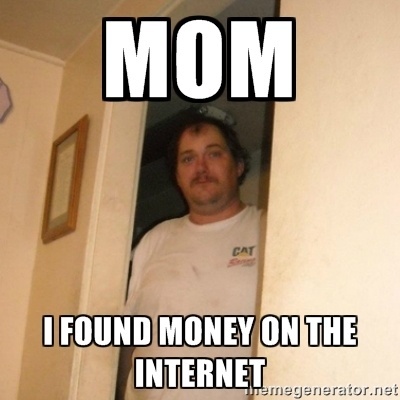 It isn’t a credit card or social security number, but that’s still data you don’t want anyone messing around with. Make sure your employee’s info is securely protected, and that the discount program provider itself isn’t going to share that info with anyone else. 6. What do You do to Ensure Merchant Compliance? The worst case scenario: you give employees a shiny new discount program, and they all run out to use offers only to be rejected at the point of sale. But it happens. Well-managed employee discount programs minimize compliance issues through a number of tactics, like maintaining constant contact with merchants and providing instructive materials for merchant employees to reference. Ultimately, your goal in adding an employee discount program is to help your employees stretch their paychecks and keep lots more money in their wallets. That means the program has to have valuable, relevant offers. These questions will help you evaluate deal quality, but they’ll also clarify other important issues like data safety and merchant compliance. These are things most employers might typically gloss over, but they’re important. 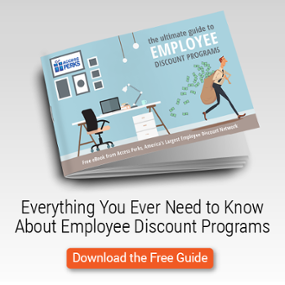 Just because employee discount programs are a fun perk doesn’t mean evaluating them should be taken lightly. Eventually, you’ll have a clear idea of which program is right for your employees - which will also be the right one for their employer.